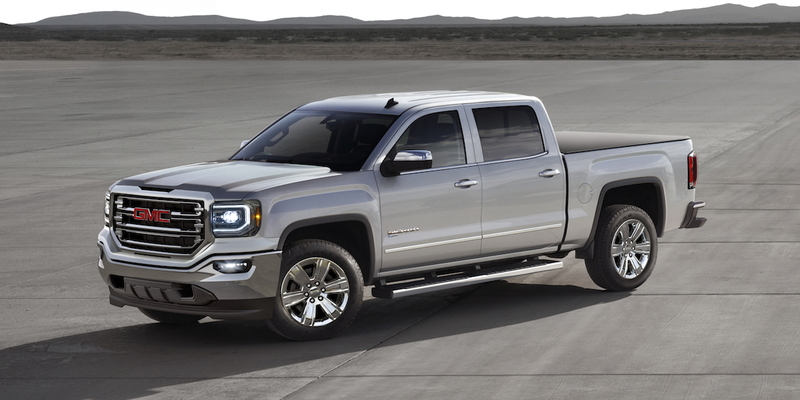 Like the nearly identical Chevrolet Silverado, the Sierra is a capable, refined truck offering an impressive array of features. Ride comfort and interior ergonomics, while good, are a step behind those of the Ram 1500. Full-time 4WD (rather than less-convenient part-time) is offered on most models. The available 6.2-liter V8 offers class-leading power. 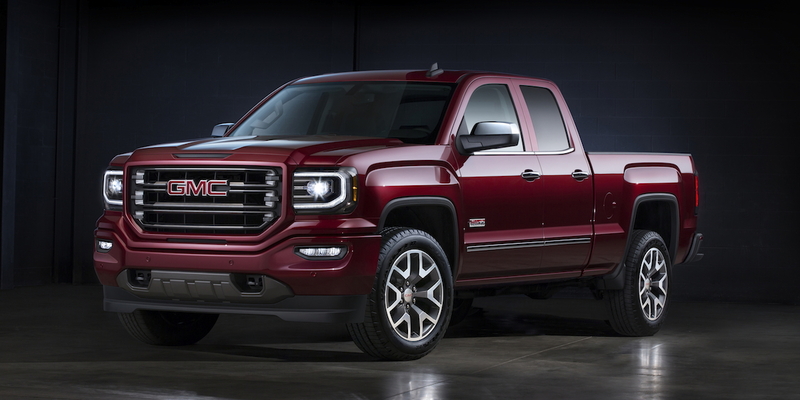 GMC’s Sierra is a near clone of the Chevrolet Silverado, though it’s differentiated with unique styling, a slightly different equipment mix, and a slightly more upscale ambiance. Regular cab, extended cab, and crew cab body styles are offered, as are V6 and V8 engines and full-time 4WD. 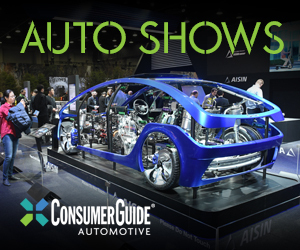 Sierra’s standard-equipment updates for 2017 include a capless fuel filler; a Teen Driver feature, which enables monitoring of info such as maximum speed and distance driven; and active aero grille shutters, which optimize airflow for improved fuel economy. Tri-mode power running-board steps, which were previously restricted to the top-line Denali, are now available on other Sierras, and the Enhanced Driver Alert Package gets Low Speed Forward Automatic Braking. Also, the max trailer-towing rating for Sierra crew cabs has been bumped to 12,500 pounds. In Consumer Guide testing, a GMC Sierra Denali crew cab equipped with the 6.2-liter V8 averaged 18.2 mpg in 65-percent highway driving. In a Chevrolet Silverado 2WD crew cab equipped with the 5.3-liter V8, we averaged 18.6 mpg in 60-percent highway driving. When equipped with the 6-speed transmission, the 5.3’s EPA rating is 16 city/23 highway with rear-wheel drive and 16/22 with 4-wheel drive. Choosing the 5.3’s available 8-speed transmission bumps the EPA numbers to 16/22 with 2WD and 15/20 with 4WD. 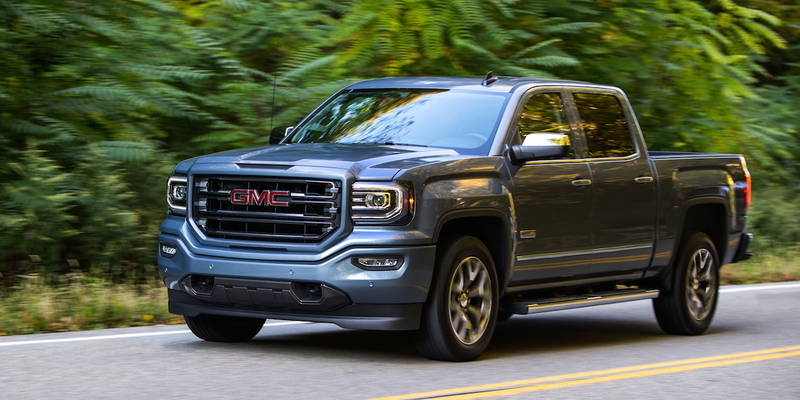 GMC offered a limited number of eAssist mild-hybrid Sierras in California for the 2016 model year and will do so again for 2017. 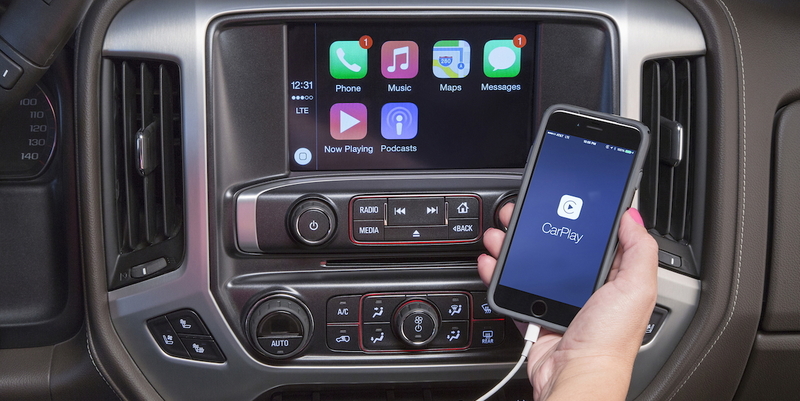 The eAssist comes only with 2WD and the 8-speed; it’s rated at 18 city/24 highway. 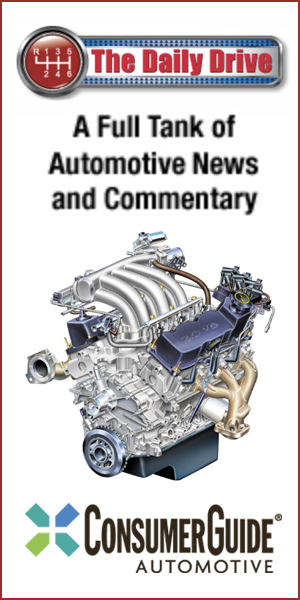 The base 4.3-liter V6 is rated at 18/24 with RWD and 17/22 with 4WD. The 6.2-liter V8 is rated at 15/21 with RWD and 15/20 with 4WD. 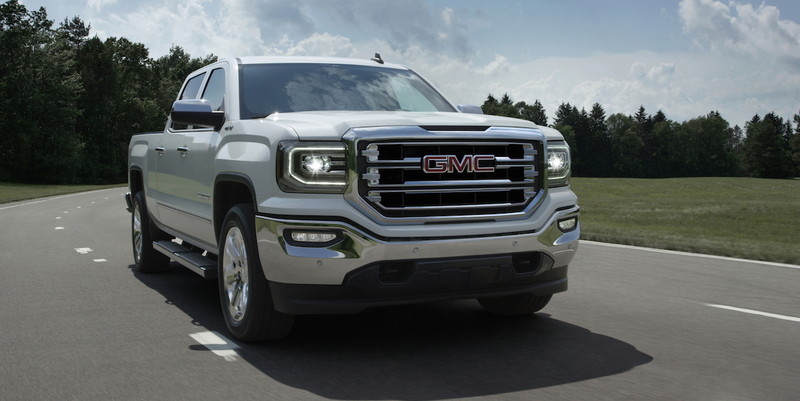 All engines can be run on regular-grade fuel, though GMC recommends premium for the 6.2 for best performance. 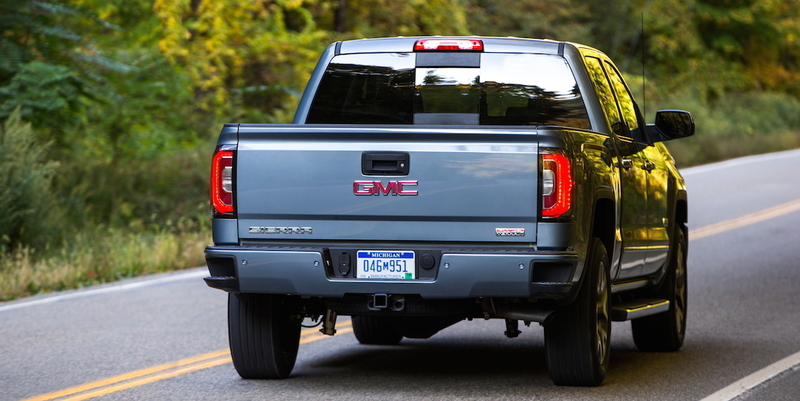 The GMC Sierra stacks up well against class rivals, and—like its Chevrolet Silverado sibling—offers strong, refined engines, good on-road behavior, plenty of handy in-cabin storage, and an impressively quiet driving environment. 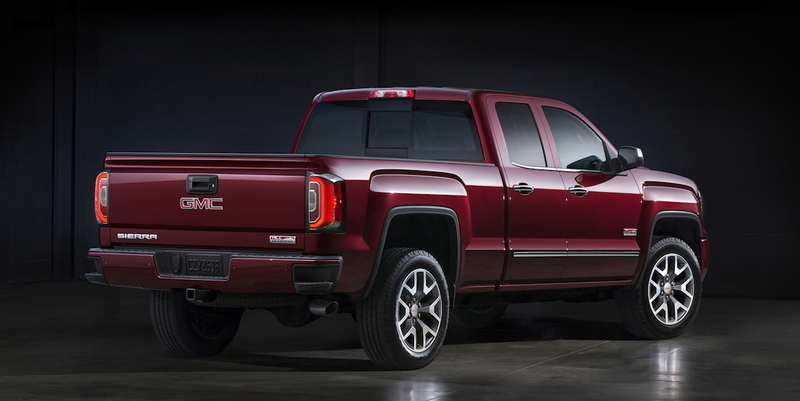 Plus, the top-line Denali models add a healthy dose of luxury to the mix. Sierra lags the Ram 1500 in ride quality, but it’s a strong competitor in this class.